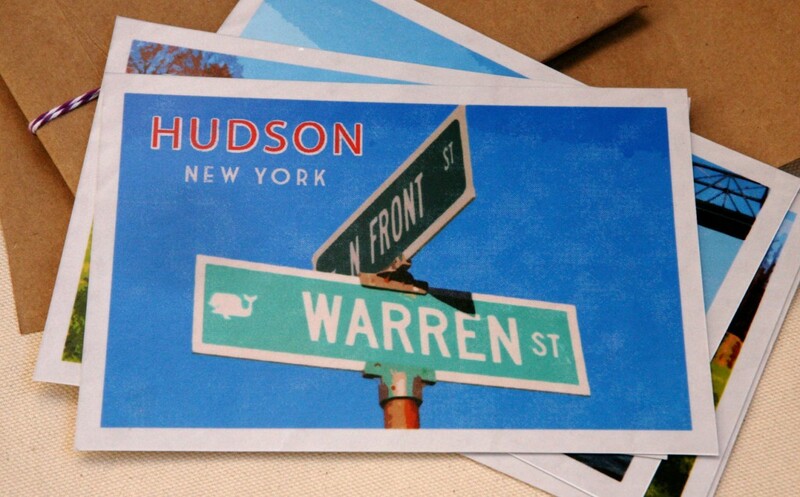 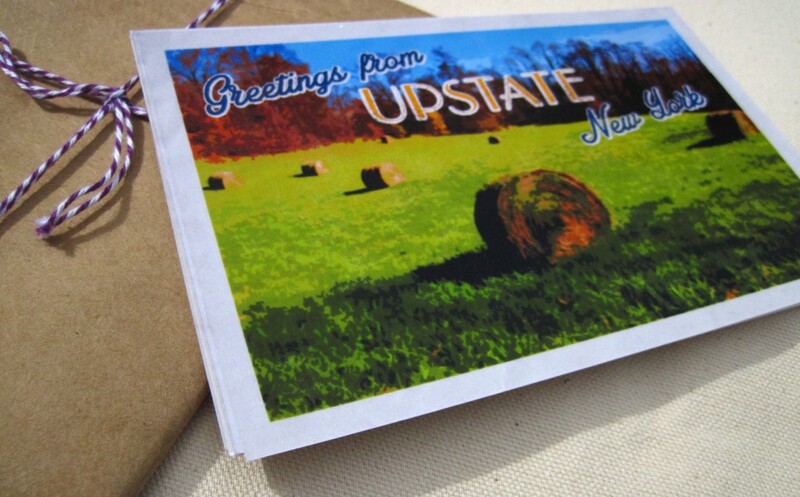 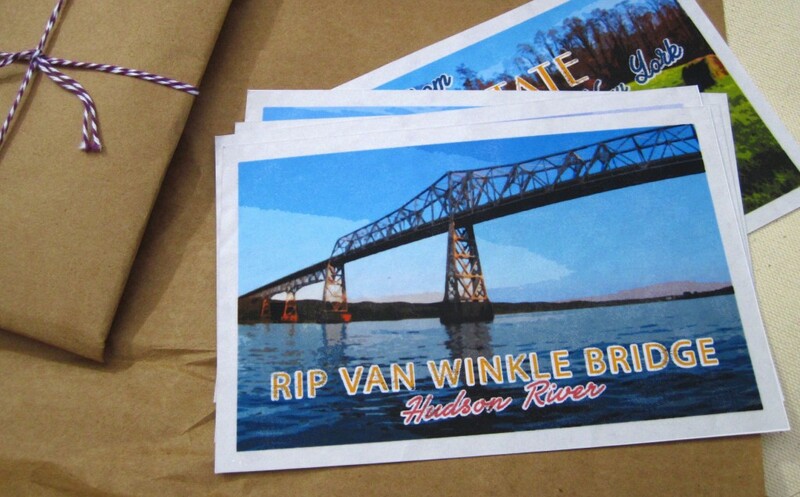 We designed a series of postcards to promote the Hudson Valley. 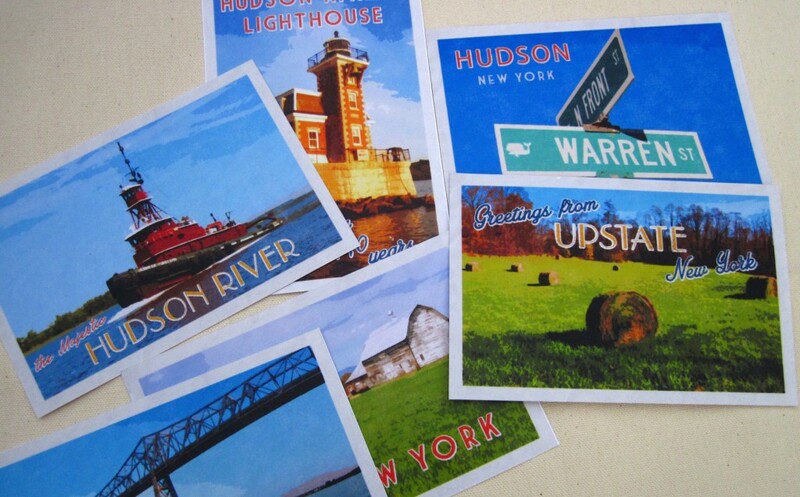 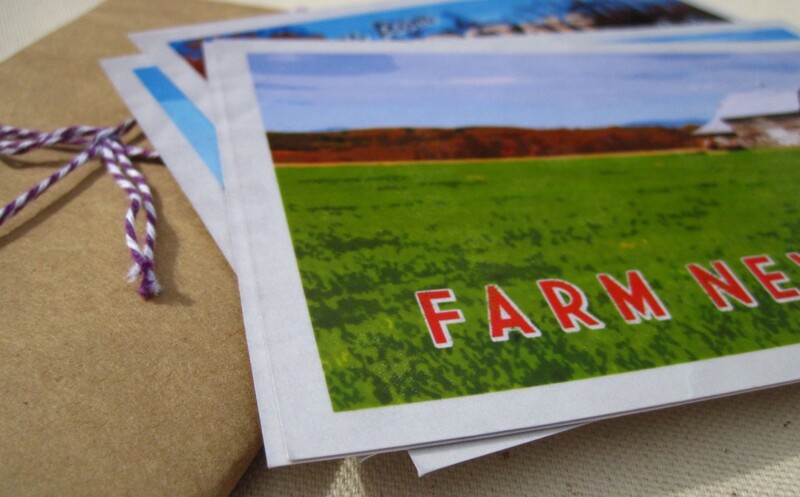 The cards were designed to have a vintage, nostalgic feel and reflect the area surroundings of farms, towns, rivers, and bridges. 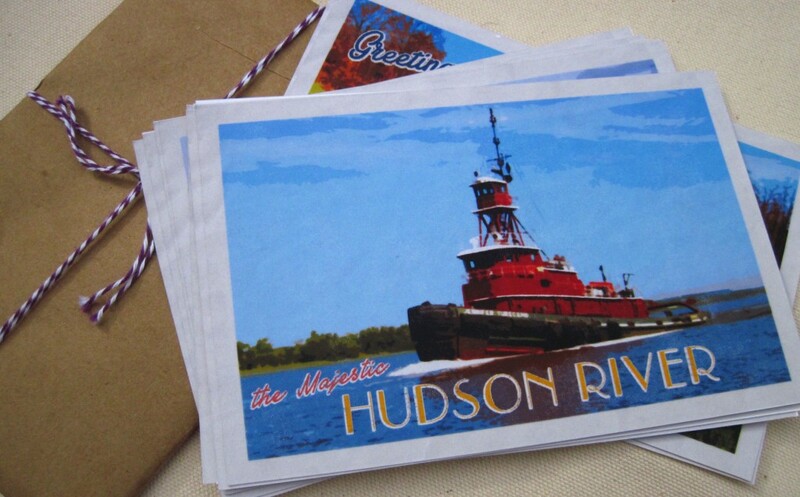 The postcards are printed on recycled cardstock, and available for distribution in the local B&Bs and small businesses.